Reseller News can reveal that the move is effective immediately, impacting the Comstor division, which operates as a dedicated value-added distributor of Cisco solutions. “Cisco New Zealand is delighted to be able to open up our full collaboration suite to Westcon-Comstor,” said Leanne Buer, general manager of commercial and partners at Cisco New Zealand. “This will enable Cisco partners to access the whole product range. The move comes 18 months after the vendor overhauled its distribution strategy in New Zealand, parting company with Dicker Data and Ingram Micro in an industry-defining round of channel changes. As exclusively revealed by Reseller News, the move resulted in the appointment of Westcon-Comstor and Spark-owned Telegistics, following a detailed six month tender process. Specifically, Telegistics was granted access to the entire Cisco product range, while also distributing the vendor’s Spark-branded communications platform, the source of a local trademark conflict. As reported by Reseller News, this was initially on a exclusive basis after Spark agreed on a licence to let Cisco use the Spark brand locally. Fast forward to April 2018 and Cisco unveiled plans to scrap the Spark brand globally, axing the collaboration platform name just over six months after settling a trademark dispute in New Zealand. 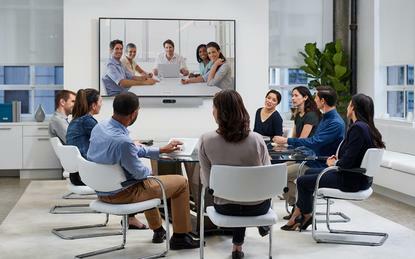 The tech giant instead merged the Spark and Webex offerings into a single suite under the name of Webex, rebranding a solution that was a contributing factor in the local round of channel changes. Consequently, the rebrand created an “additional opportunity” for both Cisco and Comstor to expand relations in New Zealand, in an agreement which now includes the full collaboration range of products. “We are incredibly excited by the impact we believe the new Cisco collaboration portfolio will have in New Zealand,” said Sandra Jackson, business unit manager of Comstor. The rebranding resulted in all product branding, including collateral and product labels having to be revised, along with technical changes made to combine the two platforms. “We’ve had a successful Cisco partnership over the last 18 months and this is a natural extension for us,” Jackson added. “We have also invested in new demo equipment and facilities which are available for the channel to utilise.